Hi-Tech Aerials and Satellite services are well established & respected aerial and satellite system installation specialists covering Nottingham. We specialise in digital aerial installations and Freesat / Sky installation, digital television reception. Here at Hi-Tech Aerials we focus on providing an exceptional aerial installation repair service with competitive pricing and have been serving customers in Nottingham area for many years. 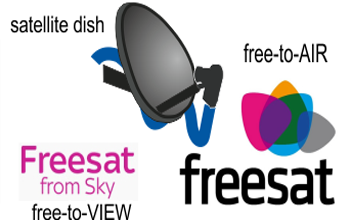 We can supply and install Freesat Standard Definition, Freesat HD and Freesat+ systems. We use high quality masts and brackets to install a 45cm satellite dish which can feed up to eight Freesat receivers or four Freesat HD receivers using digital grade coaxial cable. 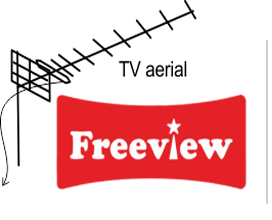 We can supply and install all types of Freeview aerials depending on your area and position. After a visit from our engineer we can recommend a trouble free Freeview Aerial installation depending on your circumstances. 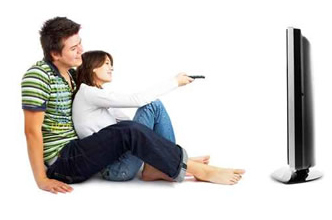 After digital switchover Freeview will available in 98.5% of UK homes. We provide all Aerial installations services throughout Nottingham, Nottinghamshire, Leicestershire and Derbyshire. For more information, please give us a telephone.